For the umpteenth retelling of a famous Biblical tale, 2014’s Exodus: Gods and Kings takes us to Egypt circa 1300 BC. The Pharaoh Seti (John Turturro) rules, and Hebrews serve as slaves. In poor health, Seti needs to choose the next leader, and he selects between his natural-born son Ramses (Joel Edgerton) and his adopted child Moses (Christian Bale). Seti opts for blood and gives Ramses the gig. This leads to conflict, as Moses eventually discovers his own Hebrew origins and becomes a leader of those oppressed people. Moses encounters severe conflicts with Ramses as he attempts to lead the Hebrews to freedom. As alluded, Exodus takes on a story depicted many, many times over the years. Of course, 1956’s Ten Commandments remains the best-known version, but you can throw a rock out a window and hit another adaptation. This doesn’t make Exodus a waste of time, of course. Just because it adapts well-worn material doesn’t mean it can’t give us a new spin – or at least good entertainment. Given the real talent involved, I went into Exodus with high hopes. In addition to Bale, Edgerton and Turturro, the cast boasts Sigourney Weaver, Ben Kingsley and other notables – and it also plops famed director Ridley Scott behind the camera. What could go wrong? In terms of filmmaking, nothing extreme, but Exodus nonetheless fails to become an especially involving tale. Actually, one controversy greeted Exodus: “whiteaashing”, the same issue that confronted 2017’s Ghost in the Shell and other movies that cast white actors in non-white roles. 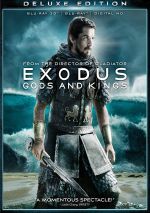 While Exodus features “ethnically-correct” performers in some supporting roles, all the major parts go to white actors. Look, I get it. American studios won’t want to greenlight a $140 million effort like Exodus without a decent roster of “name actors” involved they can sell to US audiences. Still, at this point in history, it’s a bad look. At best, it seems culturally insensitive to cast roles in this way – though it seems unlikely to stop/change any time soon. In any case, the actors don’t create the main issues with Exodus. Instead, the film falters because it takes a dramatic, legendary tale and makes it downright dull. I believe I’ve seen at least three versions of the Moses story: the aforementioned 1956 Ten Commandments, the 1923 silent version and 1999’s animated Prince of Egypt. Though the 1956 flick remains the most famous, I don’t think it fares best. As noted earlier, all the talent involved with Exodus caused me to hope it’d become the strongest of them all, but that fails to come to fruition. While it tops the 1923 version, Exodus feels substantially less satisfying than the 1956 Commandments or Prince. This occurs mainly because Exodus seems so sluggish and bland. Every once in a while, we get a memorable moment – like Moses and the burning bush or some of the plaques – but much of the film essentially meanders and stays in neutral. A film like Exodus needs to find some form of passion. Normally one would expect a spiritual dimension to carry it, but the basic interpersonal drama can excel even without consideration of the religious elements. None of these muster much to rouse the viewer or provoke emotions. Exodus tends to present its characters and events in an oddly bloodless manner that leaves matters flat and bland. In a lot of ways, Exodus reminds me of Scott’s Gladiator, mainly because both films sputter when they focus on character drama. Gladiator came to life during its battles, but it dragged through its more low-key moments. The same holds true for Exodus, except to a more extreme degree. Its character pieces feel even less compelling than those in Gladiator, while its action moments do less to compensate. That’s partly because we get fewer fights, of course, but it’s also due to the semi-lackluster way Scott depicts the action. Even when the movie should spring to life with excitement, it stays somewhat uninspiring. None of the actors manage to elevate the material. As noted, Exodus comes with an excellent cast, but they provide performances that feel competent at best. While none embarrass themselves, no one can add verve to the tale, either. Ultimately, this all makes Exodus a tough slog. It wanders through the desert for 150 unengaging minutes and never threatens to deliver the inspiring drama it aspires to bring. Exodus: Gods and Kings appears in an aspect ratio of approximately 2.40:1 on this Blu-ray Disc. This became a stellar transfer. The palette mainly opted for a mix of gold and teal. Within stylistic choices, the hues looked fine. Blacks were deep and dense, while low-light shots depicted appropriate clarity. This was a terrific visual presentation. With plenty of action scenes, the DTS-HD MA 7.1 mix often opened up to give us active information. These used the various speakers to create an involving, effective sense of these situations and circumstances. The elements meshed together well and moved in a satisfying manner. Audio quality also pleased. Music was peppy and full, while effects demonstrated good clarity and range, with fine low-end response as necessary. Dialogue also worked fine, with natural, concise speech. The soundtrack complemented the material in a satisfying manner and added to the experience. In terms of extras, this package starts with an audio commentary from director Ridley Scott and co-screenwriter Jeffrey Caine. Both sat separately for a screen-specific look at historical elements and adaptation areas, story/characters, cast and performances, sets and locations, effects, and connected domains. Overall, this becomes a pretty good chat. As is his wont, Scott occasionally tends to simply narrate the film, but he still adds a lot of useful info, and Caine throws out some nice notes, too. The commentary definitely merits a listen. 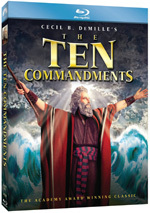 A text commentary, The Exodus Historical Guide lives up to its title, as it provides background information about the events depicted in the film. It contributes a nice layer of details that help flesh out our understanding of the movie’s material. In particular, the added footage fleshes out the Moses/Ramses relationship a bit better. I can’t claim any of this material seems crucial, but some of the clips seem useful. By the way, in an unusual twist, all the deleted scenes can be viewed either 2D or 3D. The disc opens with an ad for AD: The Series. Sneak Peek adds promos for Wild and Birdman. No trailer for Exodus appears here. 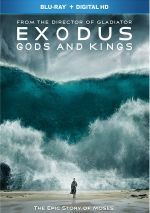 Oddly dispassionate and flat, Exodus: Gods and Kings occasionally spurs to life. Too much of it lacks real drama or passion, factors that make it a slow ride. The Blu-ray boasts excellent picture and audio along with a few good supplements. While a professional affair, Exodus fails to make much of an impact.